One advantage of using the SUMIF function to get subtotals is that it is not necessary to modify the order of the records in the original database unlike the Subtotals feature as shown in Super easy subtotals in a Microsoft Excel database. 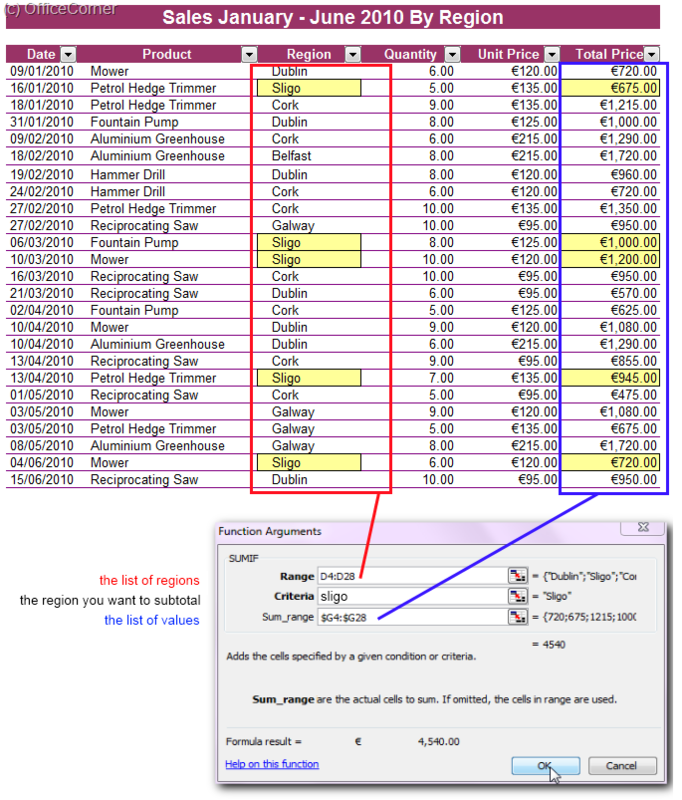 The Sum_Range is the list of values and it must match the list of regions i.e. same height. 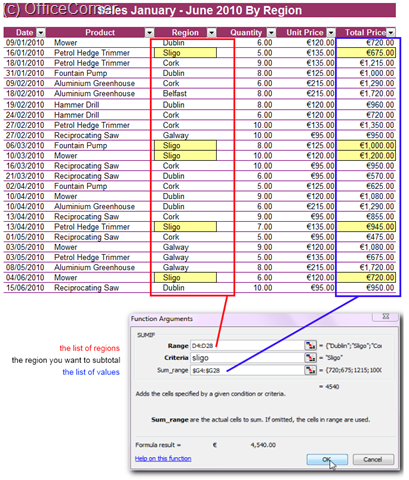 You can see in how the values calculated in the table of the left are obtained with the SUMIF function. Note that by using absolute references ($D$4:$D$28) it is easy to copy the formula and extend it to all rows at once with AutoFill. from RSS, e-mail updates, share us on Facebook or just bookmark us in your browser. We have new tips all week long and they never take more than two minutes.